This page contains a list of links to local business and services based in the village. These details are for information only and are offered as-is, and should be used at your own risk. The inclusion of a listing here does not imply any recommendation or guarantee from the Parish Council or it’s members. 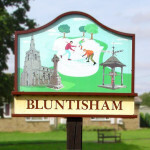 Listings are free, but to be eligible the business office or owner’s home address must be in Bluntisham, and we may ask for evidence of this.